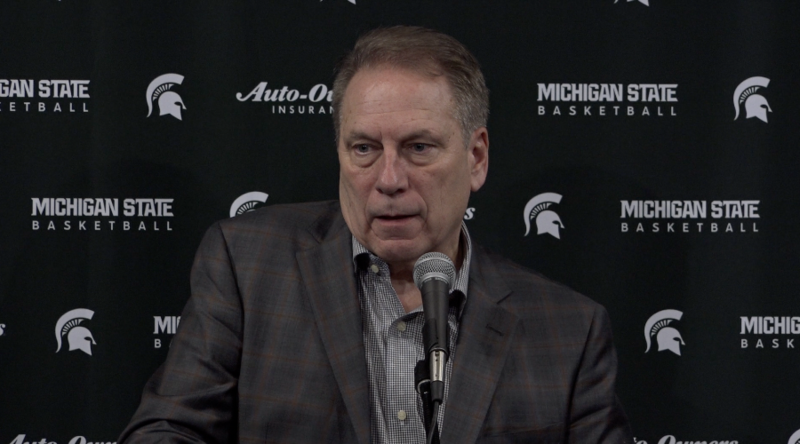 MSU men's basketball coach Tom Izzo holds his Monday press conference at the Breslin Center and recaps the win over Minnesota on Saturday while looking forward to the road matchup against Wisconsin on Tuesday night. Izzo reflects on what it was like having the 1979 NCAA national championship team at the Breslin and elaborates on the message that those former players, like Earvin "Magic" Johnson, gave to his team. Izzo also pinpoints a couple of freshmen that may have earned themselves some more time on the hardwood moving forward. Michigan State is 19-5, 10-3 in the Big Ten Conference. The Spartans and Badgers will tip-off at 7pm tomorrow night.